Ministry of Defence (MOD) Exam Question Solution 2019, Ministry of Defence (MOD)’s MSC exam was held today for the vacancy of Assistant Director & Religious Teacher posts. The Ministry of Defence (MOD) job circular’s total vacancy is 08. We are trying to solve the question for you. 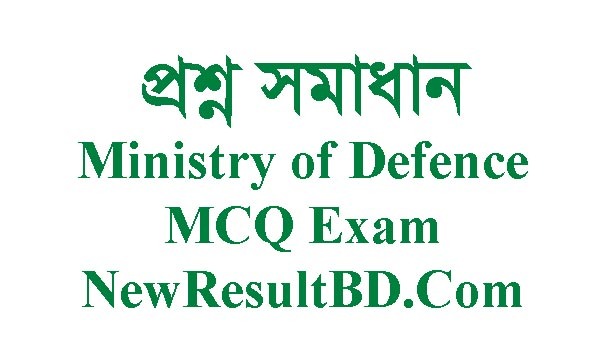 You can find Ministry of Defence (MOD) Exam Question MCQ Solution 2019 answer below. Here is the solution of Ministry of Defence (MOD) Exam MCQ Question. 05 apr’19 exam er result kobe published hobe?